October 10th, World Day against Death Penalty is here. For citizens of countries with governments fixated with executing the cruel and inhuman punishment it is a reminder that despite world’s grant entrance into the 21st century, there is still a long way to go before leaving this medieval punishment behind for good. Iran is a prime example of such a mentality. By scratching the surface and getting a little deeper, for Iran’s rulers, it is not just a mere form of punishment. It is an instrument of spreading fear among the citizens. Even China, with a population 17 times larger than Iran, and a world’s leading advocate of death penalty, there is hardly any case of public hanging or juvenile execution. 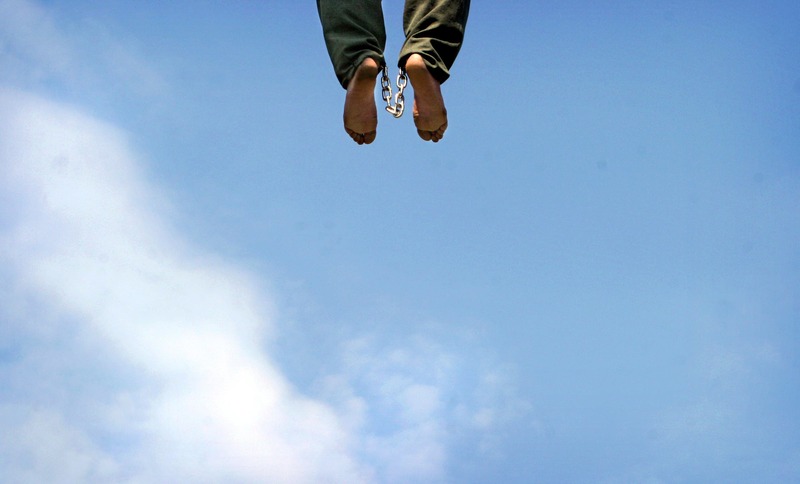 In the case of mullahs in Tehran, execution is a means to an end. It is only used to keep in check the fed up citizens, it is a reminder that dissidence will have dire consequences. The regime has tried throughout its life to sugarcoat and sell it to the rest of the world as a noble contribution in fight against drug smugglers. 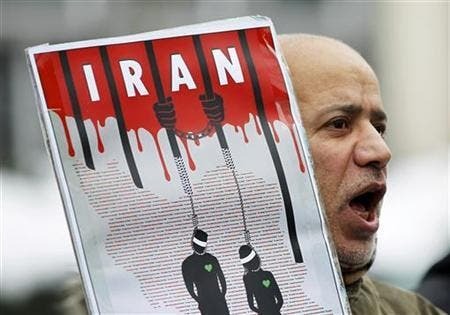 Iranian regime claims that death penalty is largely carried out to discourage drug smuggling. Not to mentions that the main drug trafficking in Iran are through ports controlled by the Islamic Revolutionary Guard Corps (IRGC) in Iran. By some estimate, IRGC pockets billions of dollars in windfalls from the lucrative business. The highlight of the first decade into the regime’s rule was of course the bloody summer of 1988 when more than 30,000 political prisoners were tried in Kangaroo courts and immediately send to gallows. That few months are best described by Khomeini’s then successor, Ayatollah Hossein-Ali Montazeri. His son Ahmad finally mustered up the courage to publish an audio tape of his father’s encounter with members of “Death Commission” in August 2016. The commission oversaw the massacre of political prisoners in the summer of 1988, mostly members and supporters of the opposition People’s Mojahedin Organization of Iran (PMOI or MEK). Montazeri, the handpicked successor of Khomeini, was sacked for his public objections to mass executions in 1988. He spent the rest of his life under house arrest and died in 2009. Mostafa Pour-Mohammadi has since admitted his role in the “Death Commission” and boasted that he was proud to “carry out God’s will and he has not lost sleep over what he did.” He was a member of the “Commission” in the summer of 1988. Pour-Mohammadi was Hassan Rouhani’s Justice Minister in his first cabinet and was then promoted to special adviser to the head of mullahs’ judiciary. 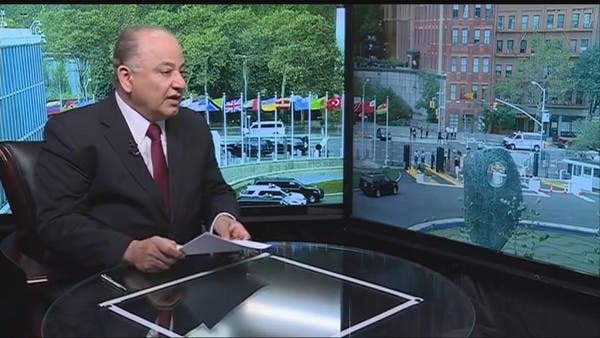 In 1989, Reynaldo Galindo Pohl, the first UN Special Rapporteur on the situation of human rights in the Islamic Republic called for an inquiry into the 1988 massacre of political prisoner. This was something the Iranian regime never acknowledged and kept it a secret until May presidential elections when the issue took centerstage because one of the main players, Ebrahim Reisi, stood for election. He is said to be the infamous mastermind of the 1988 slaughter of the same prisoners doing time for crimes they were accused of and tried earlier for it. According to reports, he directed the “Death Commission” with full blessings of Khomeini. Now after 29 years, Asma Jahangir, the new UN Rapporteur for human rights in Iran dug up the issue and opened the old wound because the regime is exposed and can no longer stand the pressure from the victims’ families and the dynamics it has triggered among the new generation of Iranians who have not even been born at the time. Social media in Iran is full of posts asking about the truth of what really happened in 1988. In another part of the report, Jahangir refers to widespread executions inside the prisons in 1988, reminding, “The family of those who were executed have the right to know and be informed on what happened in 1988”. She maintains that “those who live outside Iran and contact me are always scared that, in retaliation, the Islamic Republic might punish their families inside the county”. In the meantime, Jahangir urges the regime to establish an independent truth finding committee to investigate the 1988 massacre of prisoners who were doing their terms behind bars. The Iranian regime is doing whatever possible to destroy the evidence left behind from the massacre. On the other hand, Amnesty International reported: “A dozen political prisoners killed during a wave of mass extrajudicial executions in August and September 1988 are buried” in the mass grave”, referring to a remote cemetery in the southwestern city of Ahvaz. Iranian regime has always used execution to deter people from ever thinking of dissent. Under Rouhani’s watch, close to 4,000 executions have been recorded. Sometimes it has resorted to massacre like what happed in 1988 or simply masks the hangings under some benevolent campaigns such as fighting drug traffickers. One thing is for sure; the international community should no longer fall for excuses put forward by the mullahs’ regime for upholding the death penalty. Soon the Third Committee of the UN’s General Assembly will vote on Iran’s human rights record. Placing a clause dedicated to the memory of 30,000 political prisoners of 1988 in its draft resolution would be a reminder that the world will never forget such heinous crimes.